In early 2017, during a Strategic Goal Setting session, the City Council identified the need to comprehensively update the City General Plan with a focus on future economic development. 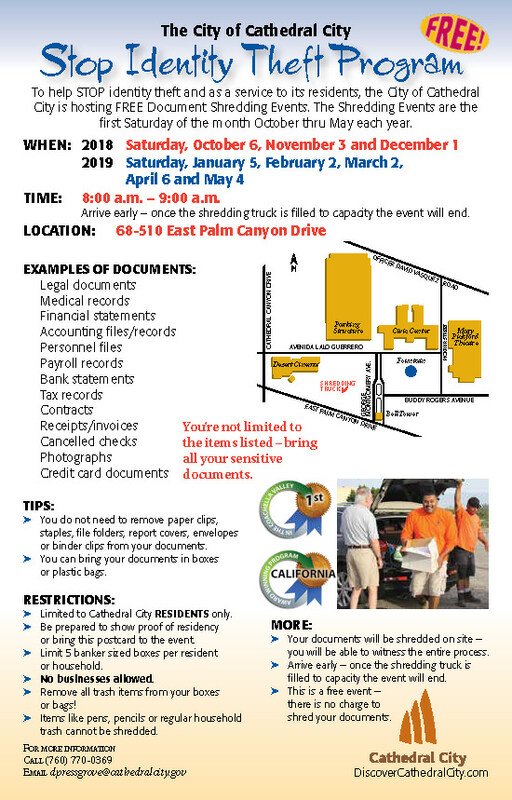 As a result, once 2018 arrived the City launched into the project hiring consultants Terra Nova Planning and Research and thus began the development of “Imagine 2040” Cathedral City General Plan Update. Since the first of the year we have held 4 community workshops and held several meetings with staff and consultants. Our initial focus has been Land Use and Zoning, Transportation and Mobility, Public Services, Environmental Resources and Environmental Hazards. We have also progressed well with a related circulation study that includes not only studying methods to improve efficiencies related to auto and truck traffic, but also incorporating multi-modal forms of transportation and facilities such as the CV Link. The holistic approach to economic development is a common thread and focus throughout the planning process of the update. It is vital that the plan recognizes and addresses the effects on the local economy of individual plan elements. Should it be traffic circulation, recreation, parks, zoning, sustainability or environment characteristics all factors will be looked at and tailored to present the best opportunity for economic growth and stability. As the City looks to the future we want to be well positioned to engage economic opportunities that benefit the community as they present themselves. “Imagine 2040” will do just that. I have provided below a schedule of the upcoming steps related to the General Plan update and a summary report on the public workshops held earlier in the year. 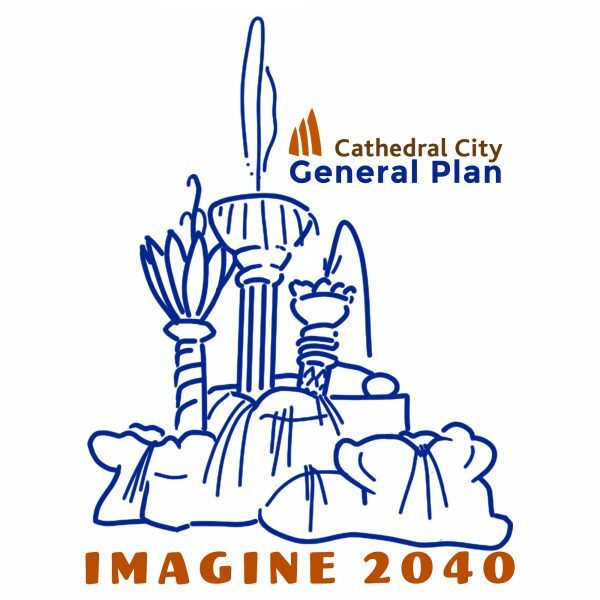 The City of Cathedral City held four public workshops to engage the community in discussion about the “Imagine 2040” General Plan update. 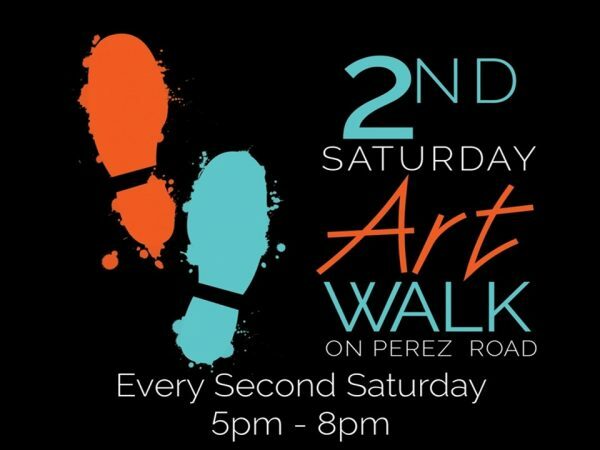 The time and locations of the workshops were advertised in the Desert Sun, on the City’s official website, and via email blasts to residences and other interested community groups. Upon arrival to the public workshops, attendees were greeted by City staff and were asked to sign in and place a dot on an aerial of the City showing where they live. Attendees were provided with comment cards to fill out either during or at the end of the workshop and could fill out as many comment cards as they wished. “Imagine 2040” reusable bags were also provided to each attendee containing informational handouts regarding the General Plan update process. 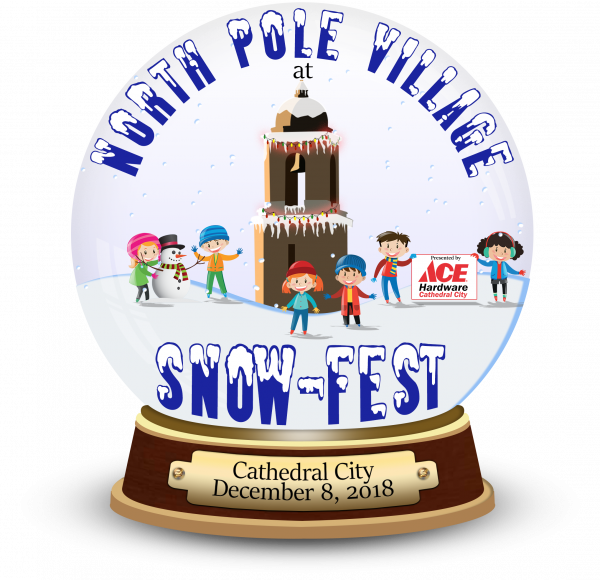 Attendees were also asked to place a colored sticker over their residence on an enlarged aerial location map to help the City visualize the attendee’s geographical concentration per workshop and to ensure that all areas of the community were represented. Project team members staffed five (5) General Plan information stations including land use, circulation/mobility planning, public services, environmental resources, and environmental hazards. The workshops began with a brief introduction from City staff followed by a 15-20-minute PowerPoint presentation given by the consulting firm, Terra Nova Planning and Research, at approximately 5:30pm. The attendees were then asked to walk around the room and visit the five (5) information stations to review General Plan exhibits and discuss the proposed updates and environmental review process with City staff members and the consulting team. Verbal comments were recorded on large note pads at each station. Several large maps were placed around the room for the attendees to provide comments, make mark-ups, and to facilitate interactive discussions. Photographs of the public workshops, sign-in sheets, and individual exhibit boards are provided in the report Appendix. • Parks/recreation: more parks/recreational space in the city, especially cove area. This includes both indoor and outdoor opportunities, such as dog parks and community centers. • cannabis cultivation: concerns cannabis cultivation is buying out and making less competitive other commercial/retail land uses. Keep cannabis cultivation within industrial zoned areas. • vacant commercial buildings: encourage infill or repurposing of vacant commercial/retail buildings. Opportunities within the city, including office space, medical space, and live/work opportunities. • New community center: more options throughout the city for community activities, recreation, etc. Possibly to be located towards the northern portion of the city to balance with the senior center/community center. • police/fire: additional police and fire services are needed in proximity to the northern portion of the city. Those in need. Encourage solar with more incentives. • homeless: provide additional homeless resources/ housing/ employment opportunities. • parking: more parking for trailheads, cv link, and in multifamily residential areas. • improve alternative transportation: shade structures at bus stops, improved bus turnouts, improve connectivity (bike lanes, sidewalks etc. ), more frequent bus stops/expanded bus route. • Trails: add signage to city trailheads to promote ecotourism. • Throughout the city. Add more trees. • Control in areas of poor sewer/ storm water management. 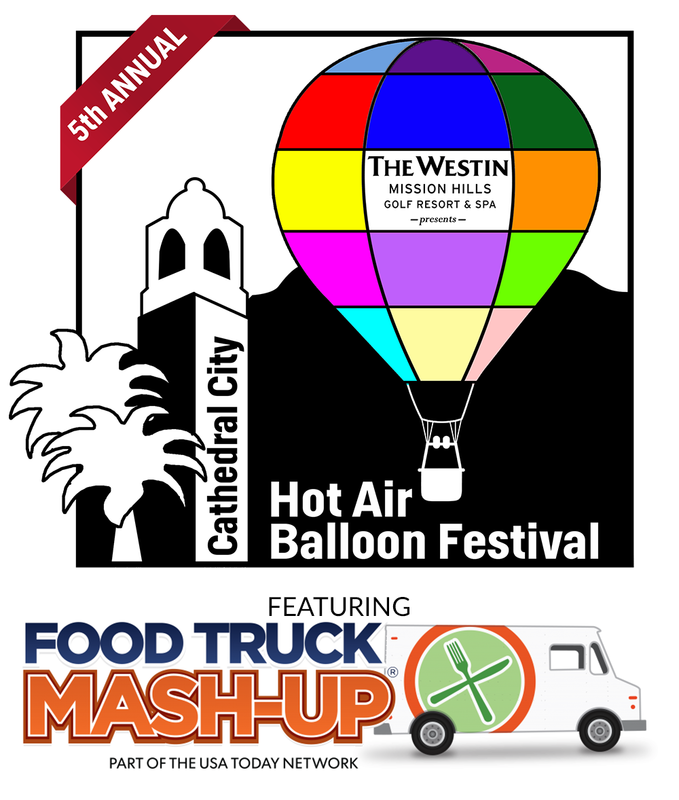 Please visit our City website to apply: www.governmentjobs.com/careers/cathedralcityca If you have any questions regarding our current job … Read more. 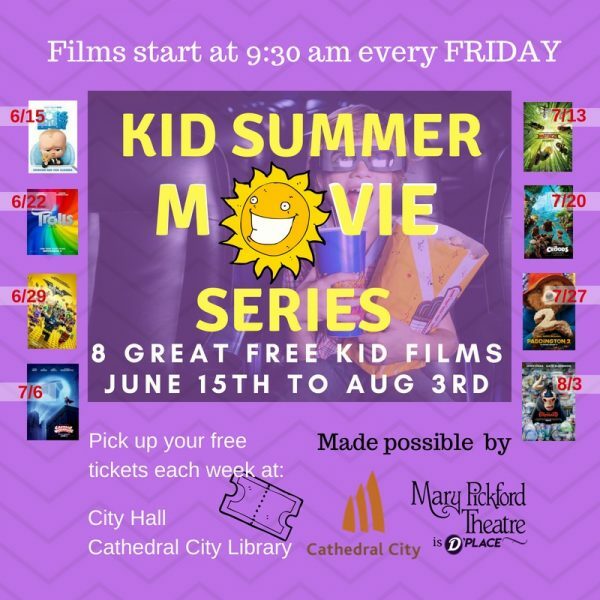 The Cathedral City Parks and Community Events Commission in partnership with the Mary Pickford Theatre presents a Free Summer Kid Movie Series happening on every Friday at 9:30 a.m. starting Friday, June 15, 2018 thru Friday, August 3, 2018. 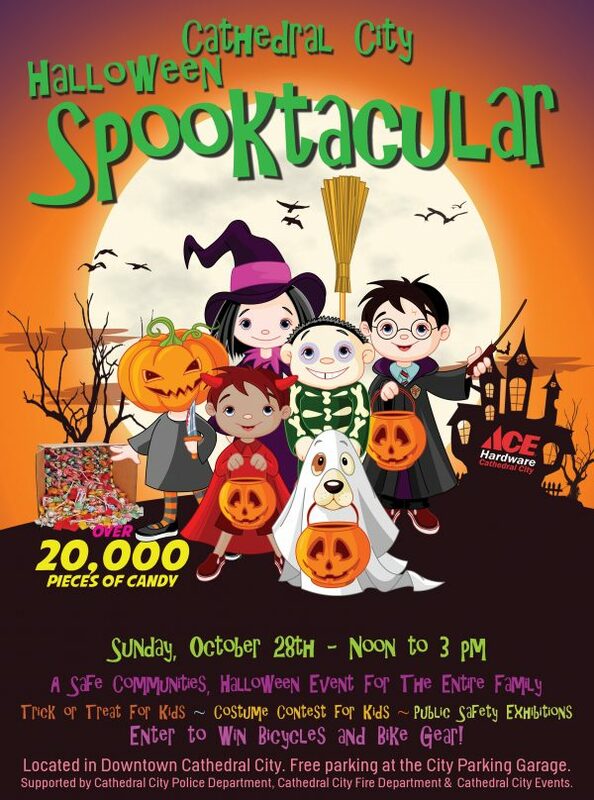 Thanks to Councilmember John Aguilar who donated a generous portion of his City discretionary funds, the film series will allow free admission in order to see a different movie geared towards kids each Friday morning at the Mary Pickford Theatre in Downtown Cathedral City.